The Main Street Oral History Project preserves and presents the history of Gloucester’s Main Street community through living memory of Gloucester Courthouse’s thriving business district. It began with the 1930 Edge Hill Service Station, which the Fairfield Foundation acquired in 2010. 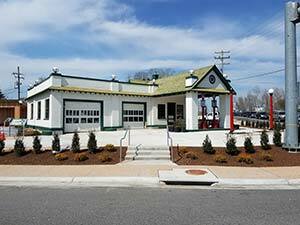 The Edge Hill Service Station, now also named the Center for Archaeology, Preservation, and Education, and every other historic structure that comprises the Gloucester Downtown Historic District, is standing testament to the history of this community. Although our initial focus was the Edge Hill Service Station’s people and memories, no community can be encapsulated in one subject and one building. We soon decided to broaden our scope to include all of Gloucester Courthouse. In its simplest form, oral history is spoken testimony about the past. But in an effort to make this knowledge easily accessible, archival quality, and respectful of the lives of the interviewees, careful protocols must be followed. 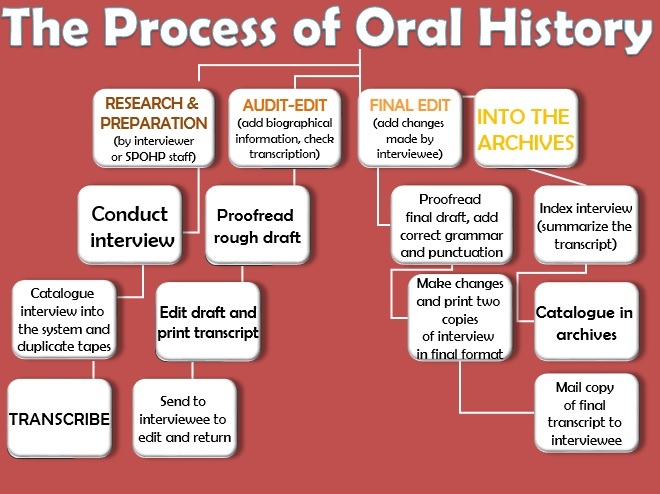 We adhered to established best practices when conducting oral history interviews, following the Oral History Association’s (OHA) Principles and Best Practices for Oral History. Each participant was asked to sign an informed consent form prior to the interview, including permission to allow free public access to the interviews in audio and written form, and receive a CD of their recorded interview to share with their families. After transcripts are finalized and recordings are digitally cleaned, the interviews will become available online at University of Florida’s Digital Collections (UFDC) and at Swem Library at the College of William and Mary. It is our hope that researchers across the country will discover the amazingly rich history of Gloucester Courthouse and its people. In summer 2016, we had the pleasure of interviewing long-time residents of Gloucester Courthouse – from florists to teachers to congressmen – about their favorite haunts around the village and their visions for the future. Additionally, we sat down with people from the surrounding county and beyond who relied on the Courthouse’s drugstores, cobblers, doctors, car dealerships, and grocery stores to meet their needs. Browse our latest round of oral histories, available in audio and transcript, to hear about a close-knit and thriving twentieth-century community! Gloucester’s men have lived many lives, and for a few like J. Ellis Hall and Hugh Dischinger, their passage into manhood occurred on an aircraft carrier in the Pacific Theater or inside of a tank in Germany. Women and children left behind, like Leola Hogge and Hayes Williams, waited for the return of loved ones during blackouts and supply shortages. Together, their sacrifices and experiences informed their post-war lives and careers, shaping Gloucester and the rest of the country during the second half of the twentieth century. Remembering landscapes foreign to many current Gloucester residents and come-heres, community elders like L. Roane Hunt and Harvey Morgan grew up in a county populated by daffodil fields, militia musters, general stores, and different values. When they share their stories, they also share triumphs and trials not found in the written historical record: the isolation and darkness of county roads, privacy frustrated on a shared phone line, and the accessibility of neighbors and friends in time of need. These everyday experiences speak in chorus with histories of many Southern communities in their parallel paths toward development and the maintenance of a rural economy after the Civil War. Between the Rosenwald Schools, TC Walker High School, and the fight to preserve these spaces, Gloucester’s African-American histories have a rich built record to ground stories of segregation. But oral histories with community members like Orlando Bartlett and Frederick Carter III reveal darker memories of attempted lynchings, police brutality, and open discrimination. Movement-era organizational actions like sit-ins and confrontations with the Klan are at once part of a nationwide story of courage and change, and a badge of honor unique to Gloucester. Interns at the Samuel Proctor Oral History Program studied transcripts and the mid-century South to construct podcasts about some of our favorite narrators: Andy James, Jr. and Ronnie Stubblefield. Listen to them exclusively here! The following interview transcriptions and recordings are the product of the first stage of this project, undertaken during 2013 and supported by the Virginia Foundation for the Humanities. We will continue to upload new interviews, pictures, and thoughts as they becomes ready. We also hope to soon begin adding archived interviews conducted by various groups and individuals over the years, as well as new ones, as we extend this project into the present and future. Mr. Morgan talks about growing up in Gloucester and his time at the Edge Hill Service Station. Click to hear the entire interview. Mr. Larrimore waxes lyrical on high school athletics and owning your own Main Street business. Mr. Dischinger recounts the first time he flew a jet, his first date with his wife, and his first memories of Christmas at the Courthouse. Mr. Brown talks about his time at the CAPE as a young hotdog stand employee for his Uncle Jack. Mr. Stubblefield remembers “cruising for chicks” in Gloucester and Mathews and his career as a high school football star. Mr. Weaver talks about growing up in a farming family and his high school experiences. Mr. Rhodes helps us envision what the CAPE’s interior looked like in the 1950s and 1960s. Mrs. Deal remembers her trips to Richmond with friends, the Courthouse as it appeared in the 1940s and 1950s, and the modern fight for preservation in the county. Mr. Fischer talks about Fairfield Foundation, his exciting career in healthcare and the restoration of his home, Windsor Shades. Mrs. White compares her move to the shore of the Ware River with her time spent as a CIA operative in Eastern Europe during the Cold War. Ms. Steele, director of Gloucester’s Parks and Recreation, discusses county projects she’s proud of and the democratic spirit of the county’s involved citizens. Mr. and Mrs. James discuss their courtship and what made their Texaco station a success. Mr. Hunt discusses the importance of genealogy and preservation in Roanes Store. Mr. Lawrence shares his experiences as a preservation activist in the county. Mrs. Marshall remembers her recreation-filled summers in Gloucester County. Mrs. Ducey-Ortiz contextualizes Gloucester’s county plan and predicts future growth, challenges and successes. The Williams family reminisce about their trips to the Blue Ridge Parkway as a young couple, and about starting a family in Gloucester. Mr. Rhodes, brother of Lynn Rhodes, discusses the changing business climate on Main Street, and the importance of preservation to the survival of Gloucester Courthouse. Mr. Carter discusses black activism across Virginia, his own work in standardizing funeral practices nationally, and a variety of other topics. Mrs. Franklin talks about being featured in National Geographic as the Daffodil Queen, and her married life in Gloucester Courthouse. Mother and son remember two generations’ worth of family history and funny stories in their combined interview. Dr. Cooke discusses the implications of her preservation work in and around black spaces throughout the region. Mr. Bartlett retells ancient family stories and anecdotes from his own exciting travels throughout the United States. Mr. Nam Vu discusses home ownership in the county and re-envisions the future of architecture and preservation in Gloucester Courthouse. Mr. Hall recounts his climb to the top of Gloucester’s Main Street business world.